Does screen time steal happiness from teens? Teens may think they can’t live without their phones, but the gadgets could be adding to feelings of unhappiness. Teens who report more time spent on recreational internet use also report less happiness, self-esteem, and satisfaction with their lives, according to a study published – of all places – online recently in the journal Emotion. The authors of the study analyzed data from the Monitoring the Future survey, which has asked thousands of eighth, 10th, and 12th graders a variety of questions about their daily habits and mental health every year since 1991. 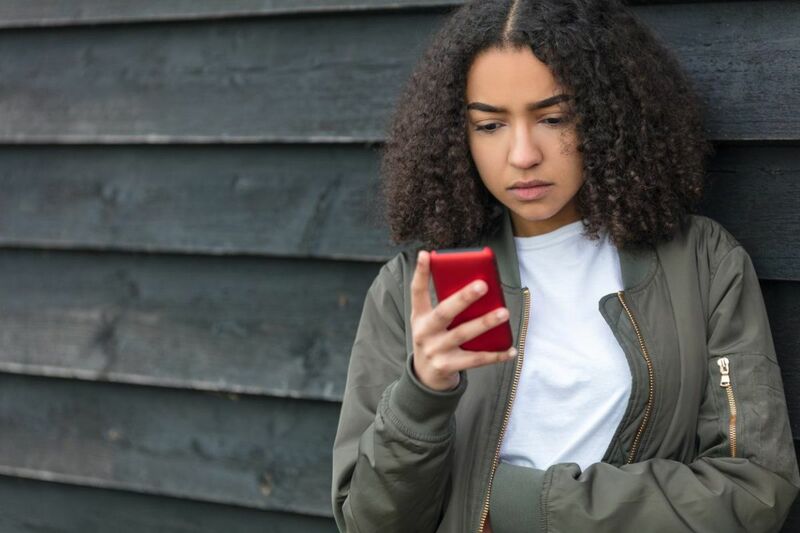 The authors found that teens' report of their well-being began to decline in 2012, the same year that around three-quarters of adults and 37 percent of teens also reported owning a smartphone. By 2015, teen ownership jumped to almost three-quarters. The convenience of smartphones just can't be beat — a phone that can also access the internet, allowing one to hold the gods of YouTube and Facebook and Snapchat in the palm of one's hand. But are they taking a toll on our mental health? Teens who reported more screen time use including watching TV and less happiness also reported less time spent in other activities known to be related to well-being, such as exercising and spending time with friends in face-to-face interactions, the researchers found. It is interesting that the result was not linear – where teens who spent zero time on the internet reported the greatest happiness. Rather, the results were curvilinear, with teens who reported using recreational screen time just a few hours a week reporting the greatest happiness, followed by declining happiness with more and more screen time use. Teachers, don't worry: The amount of time teens spent using the internet for school-related activities was not related to happiness, per the study's results. Because this was not a randomized controlled study, where one set of teens was randomly doomed to a teensy bit of screen time each week and the other awarded the chalice of unlimited internet use, it cannot be concluded that use of screen time causes unhappiness or vice versa. Other factors, perhaps not assessed by the study, could account for the results. Indeed, findings from previous studies of internet use and mental health have been mixed as to whether screen time is linked to declines in mental well-being. Nonetheless, the current study is one of only a handful that has analyzed data collected after 2012, when smartphone ownership became the norm. But results echo that of another study, published in Psychological Science last year, which analyzed data from more than 120,000 English teens and similarly found that curvilinear relationship in which teens who reported one to two hours of weekday recreational internet use fared best, while those using it the most were also the most unhappy. So what is a parent to do? Banning smartphones and the internet isn't realistic, as those glorious rainbow-colored electronic stallions are most definitely out of the barn. Rather, parents can take comfort in the finding that a moderate amount of recreational screen use does your kids no harm. I would also recommend that parents encourage screen-free days or vacations for their families and model getting off screens themselves in favor of physical activity or face-to-face socializing with friends. One caveat: Using Facetime doesn't count here. In other words, please, parents, don't despair. Just make sure to remember moderation for everyone in the family.